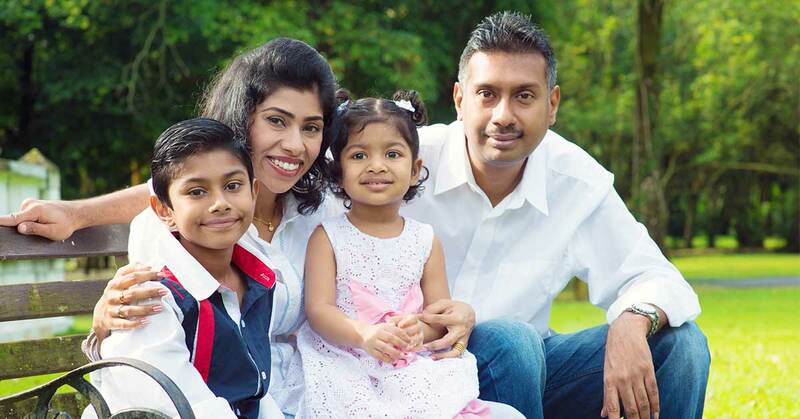 How Important Is Health Insurance Cover for Your Family? Why it is necessary to take health insurance for your family? Learn the important types of health insurance plans and understand why one is ideal for your requirements. The purpose for which we slog for hours in the office or factory is to provide all the comforts of life for ourselves and for our families. Why do we work hard and always wish to earn a high salary? It is because we love our family and always aspire to provide them with a comfortable and secured life. They say money can’t buy happiness! But, it is money that plays a crucial role in every step of the way. You never know when destiny may spin its wheel of fortune or misfortune upon us. Hence, it is important to be financially secured so that you can handle any unexpected and calamitous contingency. That is why we try to build a financial portfolio to save enough for the future. Let us read further in detail as we understand the importance of having a health insurance policy for your family. Who doesn’t wish to build an investment portfolio for themselves? Life insurance, shares, stocks, bonds, gold, real estate, etc. form an important part of our investment portfolio. 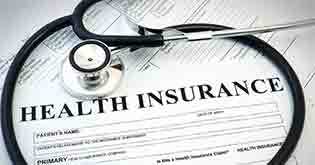 Health insurance is one aspect that needs to be included in your investment plan. 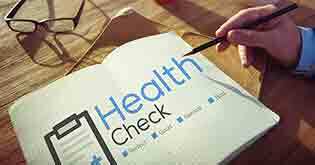 A good health insurance plan can take care of your physical and financial health during a medical contingency. Today, people from every nook and corner of the country are becoming aware of health insurance. 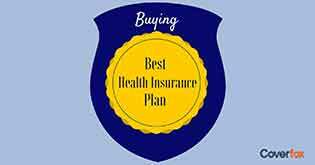 However, people often tend to ignore their families when it comes to buying a health insurance plan. Though they insure themselves, the family is sometimes given a short shrift. Is it prudent to do so? Will your family be spared of any medical contingency? And if an ailment strikes, will your family members be able to provide for the expenses themselves? Or will you have to foot their bills? Medical emergencies can strike anyone anytime, irrespective of age or gender. It is a misconception that people in the old age bracket are more prone to falling sick. Due to changing lifestyles, stress and wrong eating habits, people have lower immunity and have become more susceptible to all kinds of illnesses. Recent records of various hospitals suggest that youngsters and children also have medical emergencies. In such a scenario, insuring yourself alone is not enough. You need to insure your parents, kids and spouse. In short, every member in your immediate family needs health insurance as much as you do. Let us try to understand why and how your immediate family members will benefit from a family health insurance cover. They have always been there for you. You need to be there for them too. You love your parents and are always concerned about their health, aren’t you? But, the fear of them being prone to diseases is always eating your conscience. Studies suggest that most senior citizens in India are inflicted with one or the other lifestyle diseases such as high blood pressure, diabetes, etc. This increases their probability of falling ill and facing medical contingencies. Additionally, old age weakens the body and immune system thus, increasing the chances of contracting diseases. As such, insuring your parents under a good health insurance plan is very important. In the event of their falling ill, a major part of the medical expenses will accrue from your parents’ insurance plan. So, buying a suitable health policy that also covers your parents is important and a sensible thing to do. You cannot imagine your little angel falling ill (medical emergencies is still secondary). However, statistics show that infants and teenagers are more prone to meeting with accidents and falling ill. Blame it either on their raging hormones or weak immune systems. 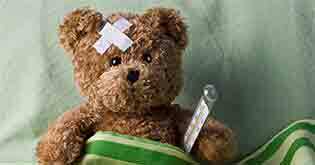 Every kid goes through that occasional fracture, illness or ailment that requires medical attention involving expenses. Having a health insurance plan that also covers your kids is a wise decision as the plan would definitely compensate the medical expenses and help you avail the best treatment. Your better half is usually the member of your household whose health is always taken for granted. You feel that your wife will not fall sick and would need the least medical attention. Well, an eye-opener for you: women are also prone to falling sick and have medical needs. Your wife may not complain of her ailments very often and may secretly resort to home remedies, yet medical attention for her is an essential requisite. Especially if you are planning for a family, maternity care is required because women face maximum complications during child birth. By denying cover to all your immediate family members in your health plan you are only being foolhardy. They require as much medical attention as you do and if any one of them is in need of emergency medical treatment, you will have to foot the bills yourself if your family members are not covered. Not only does health insurance cover provide for medical expenses, but it also provides peace of mind as you do not have to bother about arranging finances to pay for the hospital bills. To cover your family members under a health insurance plan, you have two options: either you buy an individual health plan for each member of the family or include your family members under a single plan through the family floater option. This health plan covers a single individual only. 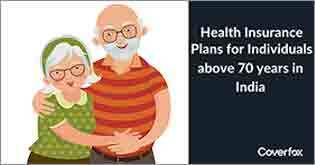 The plan’s premium is based on the individual’s age, current health condition and past medical history and the inherent medical risks associated with his/her medical record. You would have to pay a premium for every individual member of your family. Family floater plan is designed for your entire family (four to six individuals). The sum assured is a common pool shared among all members of the family. For instance, a family floater plan with a sum assured of Rs. 5 lakh can cover all the members on a floating basis. Any family member(s) falling sick can utilize an amount up to Rs. 5 lakh. In case of a claim; the amount settled will be deducted from the total sum assured and the balance amount will be available for the other members. As we see in the above example, any member submits a claim for, say, Rs. 2 lakh in any year, other members of the family will have Rs. 3 lakh worth of cover available for the same year. The family members that can be covered in a family floater policy include self, spouse, dependent children and dependent parents. If you thought choosing the right plan was a piece of cake, then here is what you need to know. You must figure out your requirements based on a need-based approach to choose the plan that is right for the family. Take a look at two broad categories of health plans and the relevant course of action for each category. Are you a salaried employee? Then you are probably covered under your employer-sponsored health insurance plan. It usually covers your full family but are basic in nature. It may not be suitable for more specific ailments that your family may face. And no lifetime renewal system in this one. 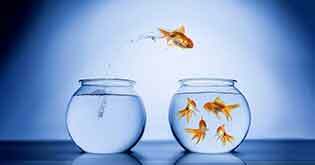 The policy lapses as soon as you resign from the organization or if the company fails to renew the plan for any reason. It is suggested to always supplement such policies with your personal health insurance plan. A family floater top-up plan is an ideal one that gives a comprehensive coverage option. If you happen to be self-employed or an entrepreneur, then it is essential to have a comprehensive plan covering the entire family. If affordability is an issue, you can always buy a basic plan and supplement the coverage amount with a top-up or super top-up plan as per your needs. Regardless of your income level, your family too needs protection. Moreover, if any member of your family faces any medical contingencies, you will have to shoulder the responsibility of paying the medical bills. Give your dear family the best gift by caring for their health. Purchase a good health plan to avoid burning a hole in your pocket with those costly medical bills in the future.